Top Stitch Quilting | Best Custom Longarm Quilting in Texas! Welcome To Top Stitch Quilting! 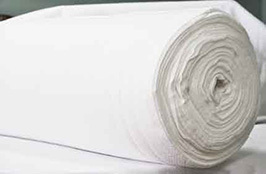 Top Stitch Quilting provides hand/computer guided long arm machine quilting services. 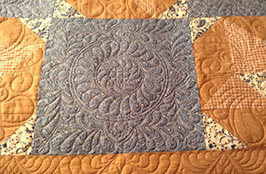 Our services are for quilters who have sewn beautiful quilt tops but just do not have the time to complete the quilt. We will turn your unfinished quilt tops into family keepsakes. 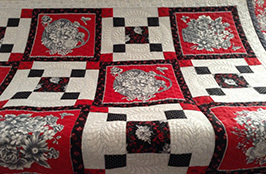 We use a combination of computerized and hand-guided techniques to give your quilt a personal and unique look. We strive always to improve our skills and fuel our creativity, and would be pleased to bring our enthusiasm and love of quilts to your personal project. Please explore this website to learn more about what Top Stitch Quilting can do for you!